Remove tough calluses and reveal silky smooth feet with the Silky Glide Pro callus remover. The long handle with a comfortable grip allows for easy reach and excellent control. The wide stainless steel micro-file is designed for beautiful results on both wet and dry skin. This callus eliminator makes it simple to enjoy feet that are soft, smooth and callus-free. A safety cover is included for safe storage when not in use. Tool opens for easy cleaning. absolutely love this, much better than the others that you buy at the store. My sister loved it and I've been trying to find one for her and today I just googled the name on it. So now I will be buying one for my sister too. It is the best product in the would for dry cracked heals. I used it before and loved it. I've had this used at the spa and it works. I need a callus remover. 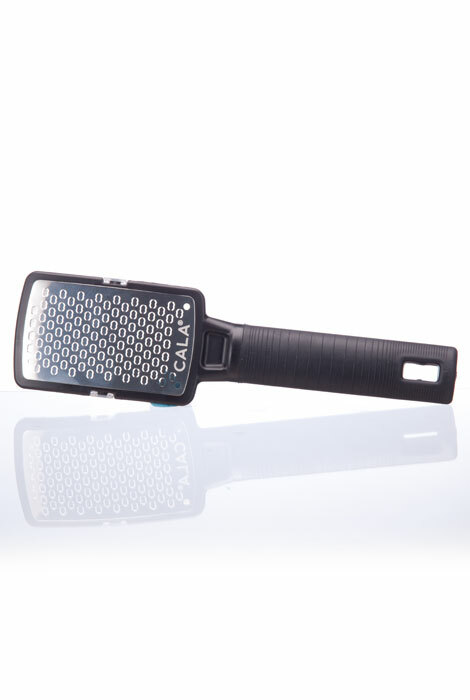 This callus remover is the BEST I've ever used! 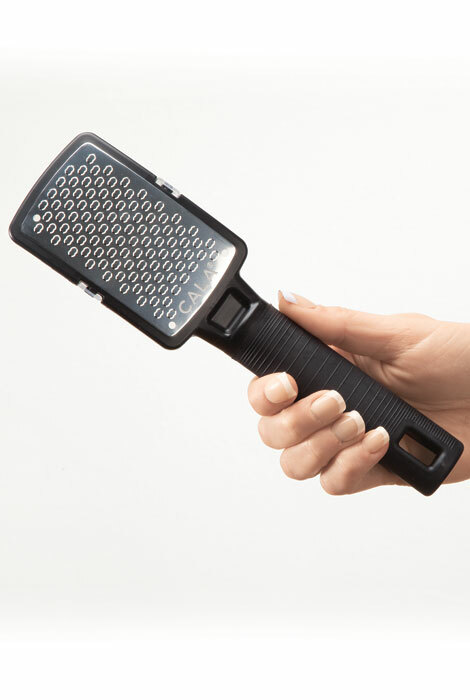 I go barefoot a lot and this is the only callus remover that ever REALLY worked! I highly recommend it!